Trying to cut back on your daily caffeine fix? If so, then how about getting yourself one of these one cup of coffee large mugs! 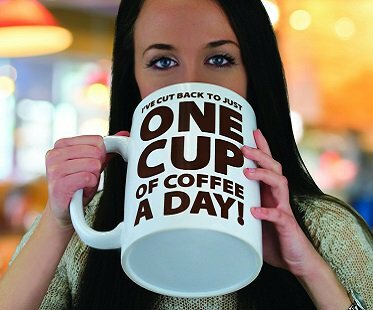 This giant, over-sized beast means you can cut back to just one cup a day! No one said anything about it being one small cup a day so what's the problem? !